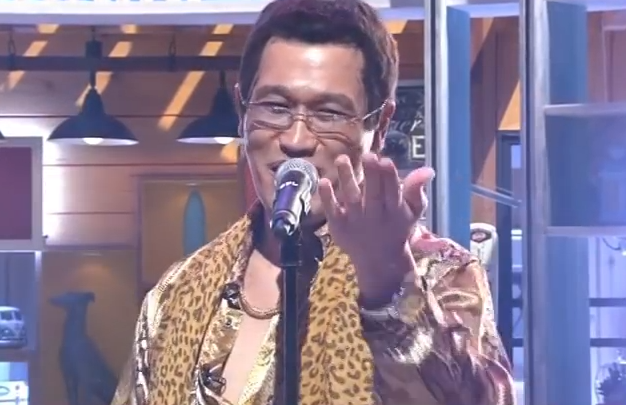 Pen Pineapple Apple Pen (PPAP) doesn’t stop and it received the Guinness World Record. PPAP is the shortest song (only 45 seconds!) ever to be ranked Billboard chart 100. Why is PPAP so popular? 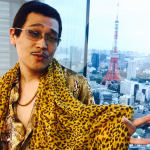 What made Piko-Taro successful? To be honest, I didn’t think he would be such popular and famous around the world. I guess Piko-Taro is surprised the most by this fact. 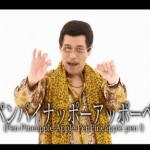 When I heard PPAP (Pen-Pineapple-Apple-Pen) first time, it sounded so ridiculous and I was not that interested. But after listening PPAP and his other songs, my brain started to repeat them over and over. And I realized that’s what’s happening to other people! 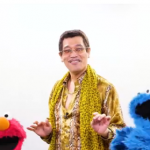 Piko-Taro’s songs, especially PPAP, are so addictive and catchy. The lyrics don’t make any sense and the way dance is unique. Below are comments from foreign journalists. Do you agree with them? Piko-Taro is pretty famous in Spain. I personally think he is weird but he is the Internet professional. His music contains techno and easy to remember. It’s easy for anyone to copy and sing the song. PPAP has a huge potential. Huge impact. His song is short and easy to remember. If the song is long, people might get bored. Also his mustache, the way he dresses and the rhythm are very crucial. Although Abe Prime Minister is the most famous Japanese in Russia, Russians also know SMAP and Ayumi Hamasaki. People see Piko-Taro on Youtube and they imitate his song and dance. I’ve been living in Japan for over 35 years. 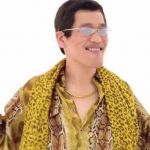 I think Piko-Taro makes people happy. His song is ridiculous but makes people laugh. I think that’s why he has become so popular. He will be a nice ambassador to spread Japanese culture to the world. Pen-Pineapple-Apple-Pen doesn’t have any hidden message. It’s a song of a pen, apple and pineapple. That’s it. If you check Piko-Taro’s other songs, all lyrics don’t make any sense. However, as mentioned above, it’s somehow attractive and addictive. Piko-Taro sings different kind of songs but all melodies are easy to remember. 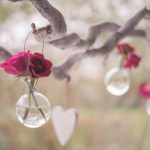 They are so simple and once you hear, they will repeat in your head over and over. If it’s too sophisticated or complicated, PPAP wouldn’t have got people’s attention around the world. 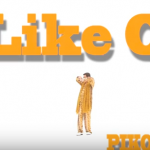 You might think Piko-Taro’s dance is so easy and anyone can dance. Yes, it’s easy but he mentions he pays attention to every detail. For instance, he shows fans how to hold an apple and pineapple. The angle of hand will be different since pineapple is bigger than apple.